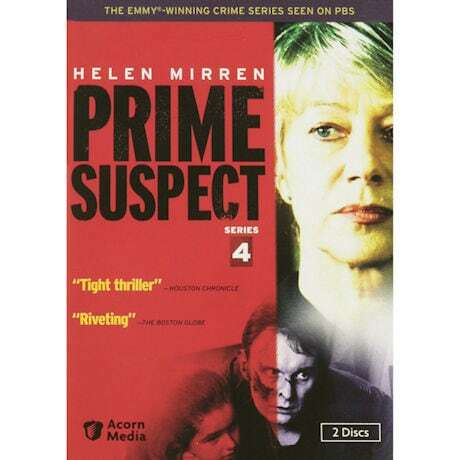 Oscar® winner Helen Mirren is Detective Jane Tennison, "perhaps the greatest role and performance of a female police detective, ever" San Francisco Chronicle, in the Emmy®-winning crime series seen on PBS. 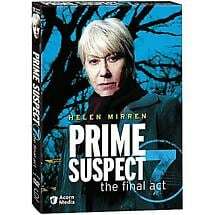 In Series 4, the newly promoted Detective Superintendent Tennison moves among stations to head high-profile cases for the Area Major Investigation Team. A wrenching personal decision colors her search for an abducted toddler in The Lost Child. 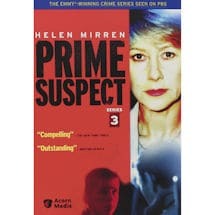 In Inner Circles, the manager of an exclusive country club is found dead in his home, and fingers point to the residents of a local housing project. The Scent of Darkness finds Tennison happy in her private life, but strained at work. 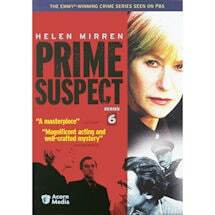 New murders cast doubt on a case she solved previously, to the delight of an old adversary. "Riveting"—Boston Globe. 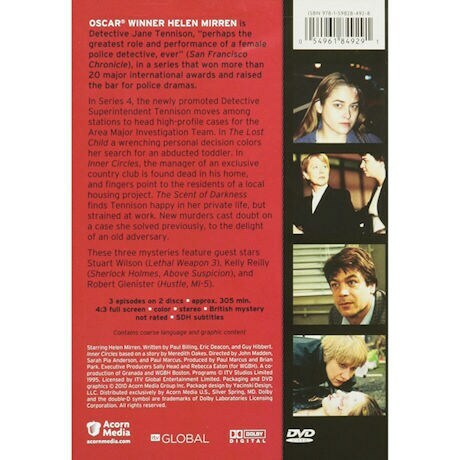 3 mysteries, about 5 hrs, 2 DVDs, SDH. Mature audiences.